:: The early bird gets the legs: an Oxford University research team found that a radical shortening of their bony tails more than 100 million years ago enabled the earliest birds to develop versatile legs that gave them an evolutionary edge. :: From Greg at Greg Miller Birding: 2013 Impatient Birder’s Cheat Sheet to North America! :: From Tim at Bird Canada: Camping, Kayaking, and Bird Photography — Sounds like a Great Summer! 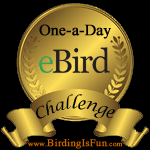 This entry was posted in Bird Conservation, Birding, Birding News, Blogging, Canada Birds and tagged Birding News, Blogging. Bookmark the permalink.